Want to be notified of new releases in gsilano/BebopS? BebopS is an extension of the ROS package RotorS, aimed to modeling, developing and integrating the Parrot Bebop 2 quadcopter in the physics based simulation environment Gazebo. 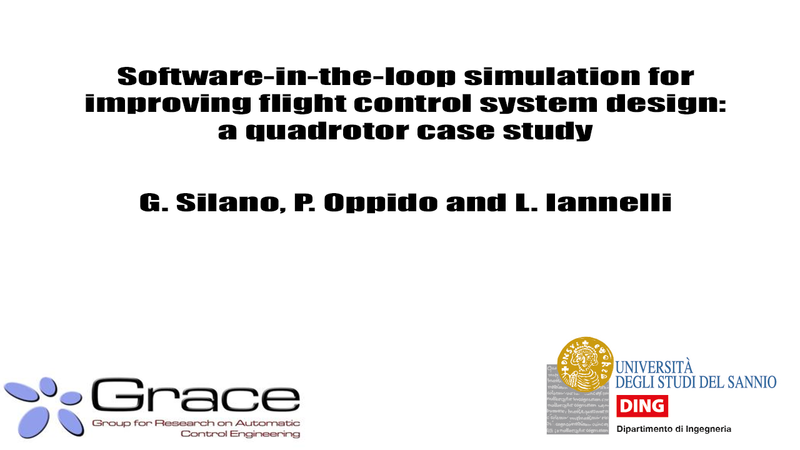 The contribution can be also considered as a reference guide for expanding the RotorS functionalities in the UAVs filed and for simulating in a way rather close to reality the real aircraft behavior. The repository was made for designing complex control systems for the Parrot Bebop, but it can also used for any other aircraft. Indeed, the controller implementation is a not easy process and having a complete software platform for simulating the multirotor behavior, considering also its on-board sensors, could give advantages in terms of coding and deployment of the controller software. Moreover, the software platform allows to detect and manage instabilities of the Parrot Bebop 2 that otherwise might not arise when considering only its Matlab/Simulink simulations. Finally, implementation details synchronization, overflow or any other software realted issue, can be isolated when looking at the Matlab/Simulink platform only, but their effects can be investigated by considering the proposed repository. Simple cases study are considered (task1_world.launch and task2_world.launch) in order to show how the package works and the validity of the employed dynamical model together the control architecture of the quadcopter. The code is released under Apache license, thus making it available for scientific and educational activities. The platform has been developed by using Ubuntu 16.04 and the Kinetic Kame version of ROS. Although the platform is fully compatible with Indigo Igloo version of ROS and Ubuntu 14.04, such configuration is not recommended since the ROS support will close in April 2019. Below we provide the instructions necessary for getting started. See BebopS' wiki for more instructions and examples. If you are using this simulator within the research for your publication, please take a look at the Publications page. The page contains core papers and all linked works (using the platform). The authors are grateful to the LARICS Lab of the University of Zagreb that created the basis for the software repository through the sofware repositry. In fact, the platform is an extract of the work carried out for the industrial challenge of the 26th Mediterranean Conference on Control and Automation (MED’18) in which the authors took part. To use the code developed and stored in this repository some preliminary actions are needed. They are listed below. $ sudo sh -c 'echo "deb http://packages.ros.org/ros/ubuntu `lsb_release -sc` main"
Note The first run of gazebo might take considerably long, as it will download some models from an online database. To avoid any problems when starting the simulation for the first time, you may run the gazebo command in the terminal line. The bebop_without_controller.launch file lets simulate the Parrot Bebop dynamics when no controllers are in the loop. Therefore, the drone pose can be modified by publishing the propellers angular velocity on the /gazebo/command/motor_speed topic. Moreover, external disturbances can also be simulated by varying the contents of the variables: wind_force (it represents the wind force expressed in Newton), wind_start (it indicates the time in seconds after which external forces will begin to act), wind_duration (the inveral time), wind_direction (the wind direction along the x, y and z-axis, its values are bounded between [-1, 1]). To let the multicopter fly you need to generate thrust with the rotors, this is achieved by sending commands to the multicopter, which make the rotors spin. To speed up the simulation, a certain set of sensors can be included when simulating the drone dynamics by varying the flags: enable_odometry_sensor_with_noise/disable_odometry_sensor_with_noise (it includes the odometry sensor with bias and noise terms), enable_ground_truth_sensor (it enables the ground truth sensor), enable_wind_plugin (even external disturbances will be simulated) and enable_laser1D (it enables the 1-D laser scanner). Finally, the waypoint and Kalman filters, as well as the data storage, can be enabled/disabled by using the variables: csvFilesStoring, csvFilesStoringTime (simulation time after which the data will be saved), user_account (required to define the storage path), waypoint_filter and EKFActive. the drone starts to follow the trajectory expressed as a sequence of waypoints (x_r, y_r, z_r and \psi_r) published at a settled time (t_0, t_1, t_3, etc. ), as described in waypoint.txt file. To avoid system instabilities, a waypoint filter is employed to smooth the trajectory. Please report bugs and request features by using the Issue Tracker. Furthermore, please see the Contributing.md file if you plan to help us to improve ROS package features. A YouTube video showing the Parrot Bebop during the trajectory tracking is reported. The trajectory, described using waypoints, is shown in the waypoint.txt file.